The White House also said Saturday the Trump administration is working to arrange a state funeral for the late president. 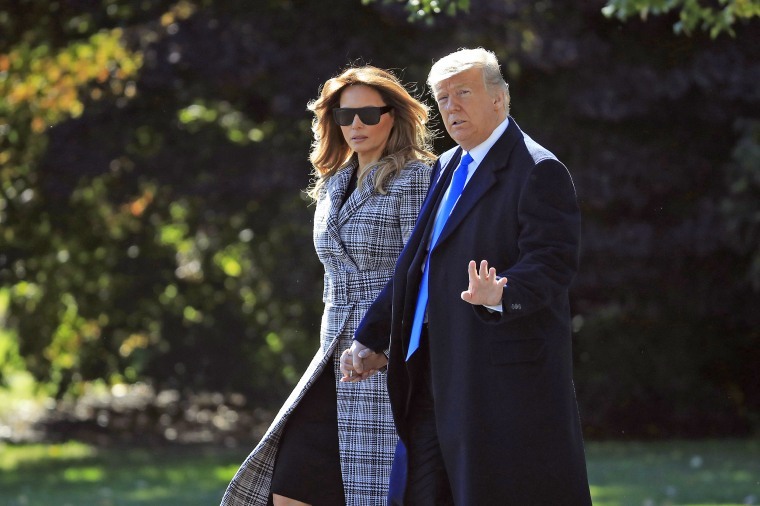 President Trump himself tweeted Saturday that he would not hold a previously-planned press conference until after the funeral out of respect for the late president and his family. Sanders said the Trump administration is working to arrange a state funeral for Bush and that the president will declare Dec. 5 a national day of mourning in his honor. Later Saturday, before his meeting with German Chancellor Angela Merkel at the G-20 summit here, Trump said he had spoken by phone with Jeb Bush and former President George W. Bush, another of the deceased president's sons. "I expressed deepest sympathies," Trump told reporters. "He led a full life and a very exemplary life." He did not attend a funeral for former first lady Barbara Bush earlier this year.